It never ceases to amaze me that, after attending countless documentary Q&A’s over the years, how many times filmmakers start out with a specific idea and end up with something completely different and more profound than their original concept. In this case, first-time director Richard Miron set out to do a film about animal rescue so he volunteered at an animal sanctuary in Wawarsing New York while a senior at Yale. That is where he first met Kathy Murphy, gained her trust and obtained total access throughout to end up with this gem of a subject and story that was never originally intended when he began. I’m a news junkie and, on a regular basis, have seen and read of animal hoarders and the subsequent cruelty, whether intentionally or not, inflicted on their “pets”. I often wonder what the backstory was behind the sensational end-result that one only sees on the news – when the surviving animals are rescued and the owner often prosecuted. And it is this backstory that For the Birds chronicles, that began when Kathy found a single duckling on her lawn. Ten years after raising it, she has accumulated hundred of birds including hordes of chickens, ducks, geese and two turkeys which have overran, both inside (yuck!) and outside, her and her husband Gary’s house. When the Woodstock Animal Sanctuary first becomes involved, she was agreeable to relinquishing custody of some of her birds. It is only after a subsequent rescue visit, when sanctuary personnel turn their attention to her beloved turkeys, that the plot takes a sudden right turn. No spoilers will be offered here to the many surprising twists and turns accompanied by an incredible narrative arc to Kathy’s story, none of which the director could have imagined in his wildest dreams. It is no wonder that young Miron spent 6 1/2 years on this project. A number of side stories are introduced including Kathy’s colorful attorney who easily could be made the focus of his own film. Special mention goes to another Yale alum, Andrew Johnson, whose effectively discreet soundtrack permeates the visuals. During the Q&A Johnson revealed that he tried to create the score as if it was tailored for a feature film and not a documentary. His extraordinary composition made For the Birds that much more interesting and memorable. This splendid first film makes Richard Miron a definite talent to watch for in the future. The movie, which had its North American premiere at AFI DOCS, was recently purchased by Dogwoof for world sales so be on the lookout for the release. We are pleased to announce that Dogwoof Sales, the leading documentary sales agent and UK theatrical distributor, has picked up For the Birds. The company is regarded as the foremost documentary specialist brand in the world, and is a stamp of the highest quality content. Kathy Murphy, the central figure in Richard Miron’s captivating For the Birds, is the kind of person who you instantly regret entering into conversation with. She is antisocial and paranoid, and her hygiene falls well outside of social norms. She spends most of her day caring for the dozens of geese, chickens, and turkeys that have taken over the home she and her husband share in upstate New York. After a neighbor reports the unsanitary conditions, Murphy engages in a pitched battle with sanctuary workers and, eventually, local authorities to keep her beloved flock. As she refuses to give in to the authorities, she puts her marriage and even her freedom at risk. It’s a gripping tale, and the film’s greatest achievement may be how it methodically changes our perception of its protagonist. It would have been easy to mock or judge Murphy—despite her affection for the birds, they are clearly better off at a well-run sanctuary—but Miron’s steady and sympathetic eye persistently searches for her humanity. Friday, June 15, 6 p.m., AFI Silver Theatre and Cultural Center; Saturday, June 16, 2 p.m., Landmark E Street Cinema. 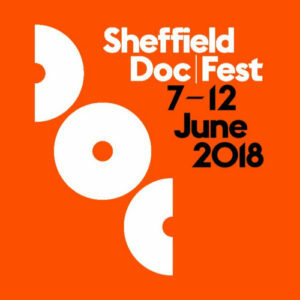 Eclectic as ever, this month Sheffield Doc/Fest presents its films alongside virtual and augmented reality experiences and numerous talks and discussions. Once again, screenings are split across thematic strands, including Doc/Think, Doc/Rhythm and Doc/Visions. The focus of our preview is on these three, and some of the other most filmically interesting and thought-provoking films Doc/Fest 2018 has to offer. Richard Miron’s FOR THE BIRDS, which follows the struggle between an animal lover/hoarder and animal welfare advocates. A woman’s love for her pet ducks and chickens – all 200 of them – begins to threaten her marriage and draw attention from local animal rescuers. As an escalating custody battle unfolds in vérité, an unlikely cast of characters finds their own fates intertwined with the fate of these birds.